Oh boy, you guys. Talk about an end-of-summer celebration. This, right here, is just that. I am constantly looking for ways to utilize that giant watermelon I often buy this time of year and, well, Im just regretful that I haven’t tried this sooner. We had lunch over at a darling friends house recently. You know who you are, my dear. She’s just the best host…fun treats for the kids, endless coffee and conversation that could definitely carry into the evening over a couple bottles-too-many of wine. And I also must make it known that she provides the most adorable little humans to dote over, as well. Theres something to be said about spending time with a family that both you, your spouse and your children equally adore, right?? It makes gathering together just phenomenal. A tad chaotic, in the best possible way and the best kind of chaos there ever was. 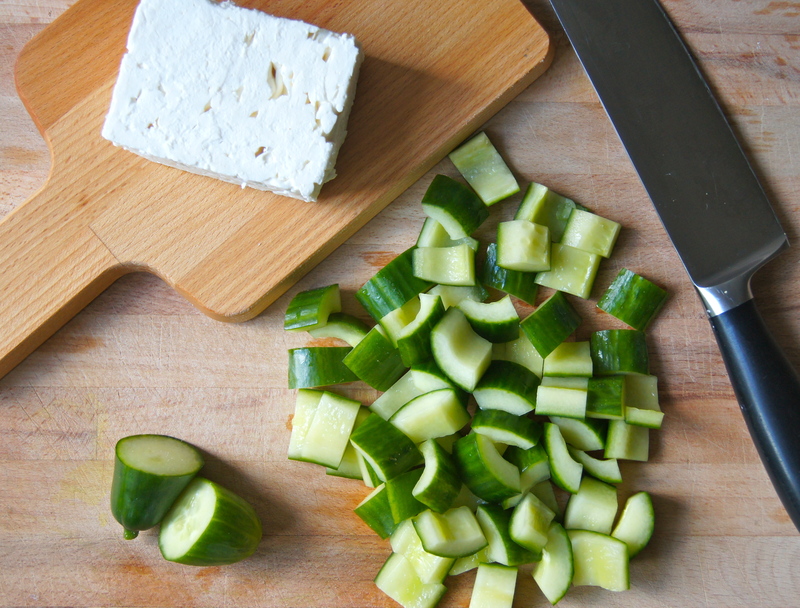 She made us this amazing watermelon, cucumber and feta salad for lunch. I was astounded at how fresh and wonderful it tasted. I basically hoarded the bowl and couldn’t wait to share the recipe with you guys. The best part? The ingredient list was so simple and minimal. 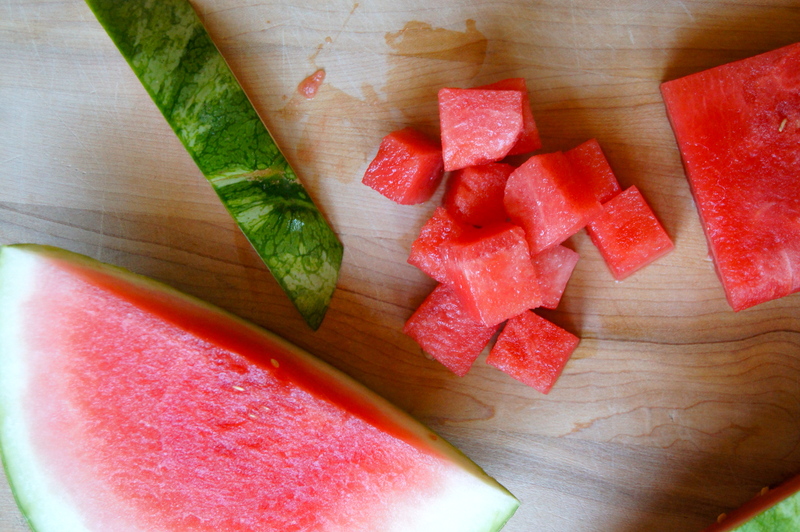 Watermelon, cucumber, feta, basil and lime juice. I know! When I came home to make it (the very same day…obsessive much??) I realized I had some leftover balsamic glaze sitting in my fridge. *side note: if you do not currently keep this stuff in your fridge you must start. 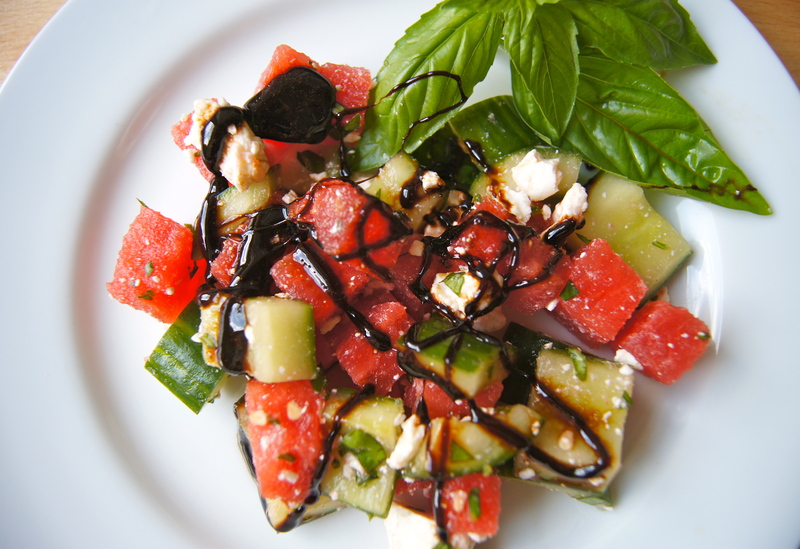 its a syrupy balsamic goddess that makes EVERYTHING more delicious: salads, grilled meats or veggies, crusty bread…divine. 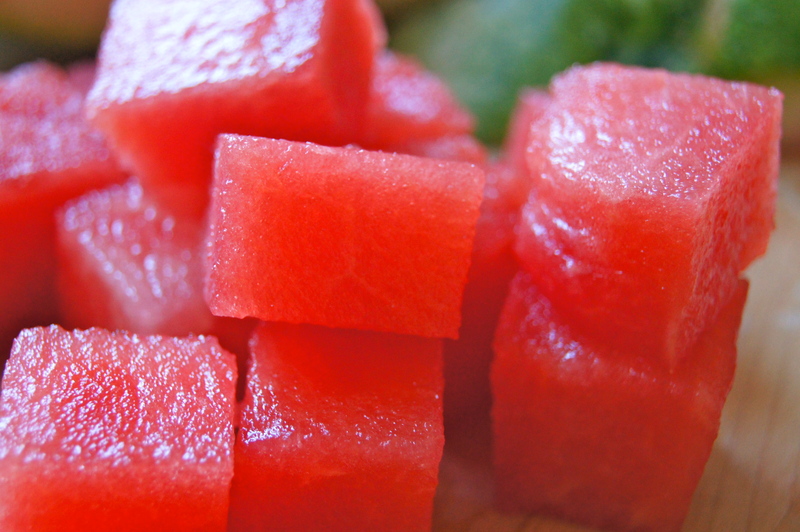 A little drizzle of this glaze on top of this beauty of a watermelon salad and all you’re left with is sweet, salty, lip-puckering freshness. I am telling you….sign it. seal it. deliver it. Devourable. 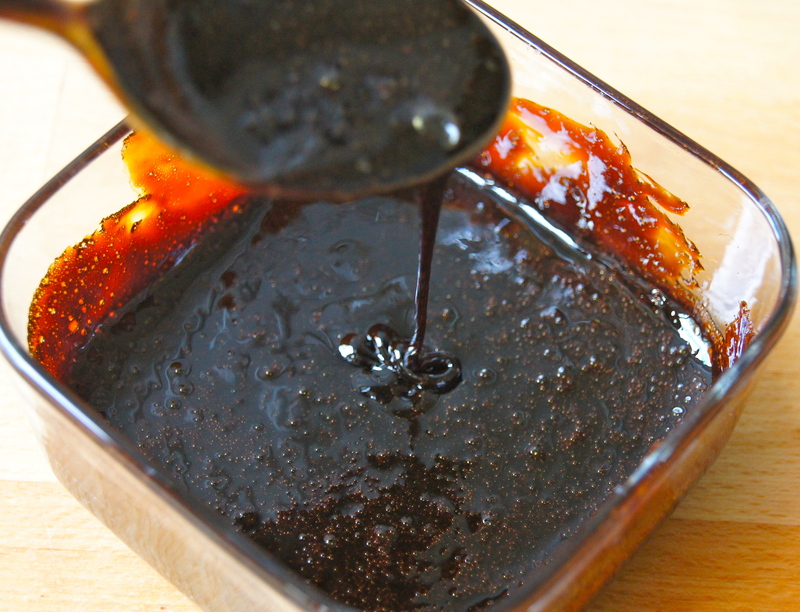 Place balsamic vinegar in a small saucepan and bring to a boil. Reduce heat to medium low and let simmer for approximately 10 minutes or until vinegar is reduced by about half (it should be able to coat a spoon). Remove from heat and chill in the refrigerator for up to 1 week. 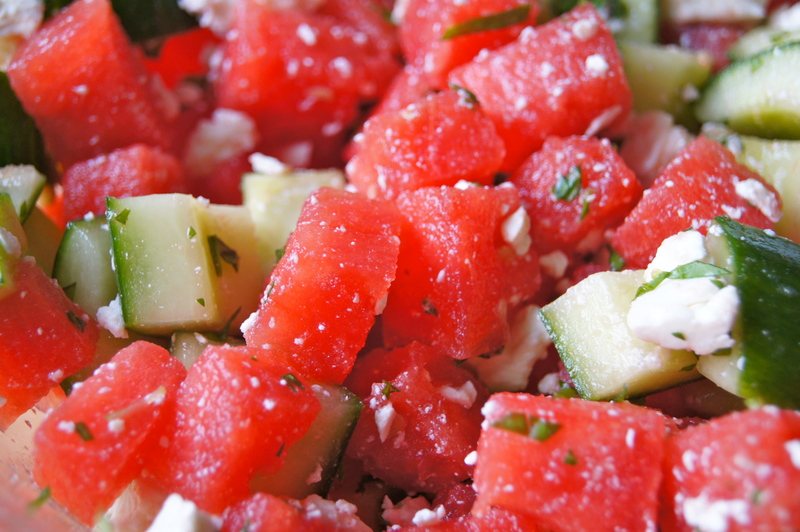 Place watermelon, cucumber, feta, lime juice, basil and salt in a large bowl. Toss well to combine. 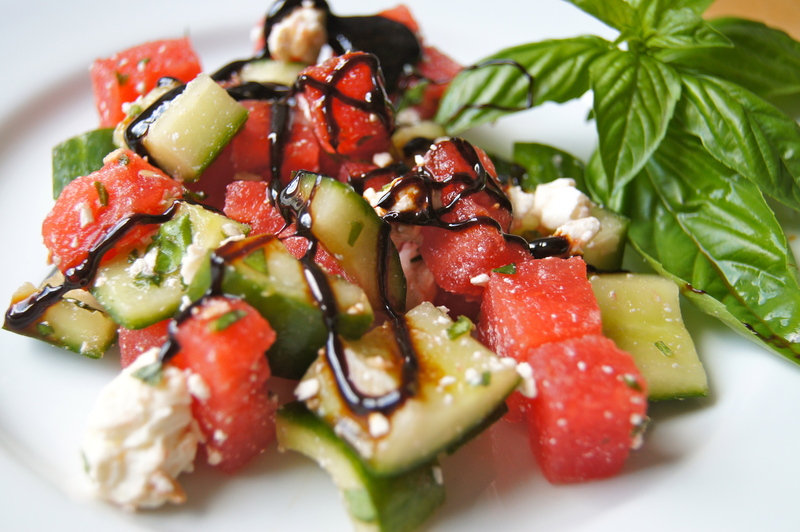 Serve at room temperature or refrigerated and drizzle with balsamic glaze.